This spacious and modern Barcelona apartment is ideally located in the centre of the city. Nearby you will find a number of top attractions including the Sagrada Família, Arc de Triomf, Passeig de Gràcia and Plaça Catalunya. There are also plenty of great bars, cafés and restaurants in this area. What’s more, you’re only a few metro stops from the sunny Barceloneta Beach! The apartment itself is spacious and has a modern décor. It comes complete with its own private terrace. It can sleep up to 7 guests. There are 4 bedrooms in total, with 5 single beds and 1 double bed. There is 2 bathrooms in this apartment. The kitchen is fully equipped with anything you might need to prepare your own meals and even includes a juice maker and a coffee machine. There is also a dishwasher, washing machine and dryer. 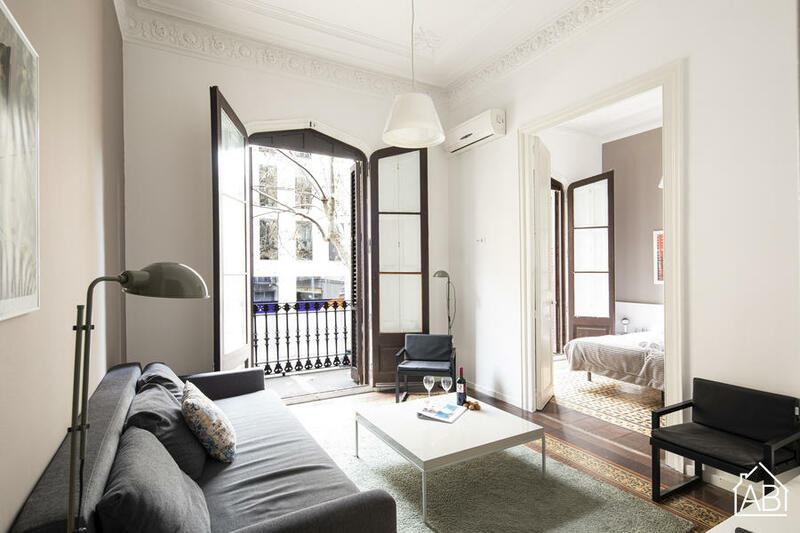 Complete with air conditioning, heating, Internet and a TV, this Barcelona apartment is the perfect home-away-from-home.